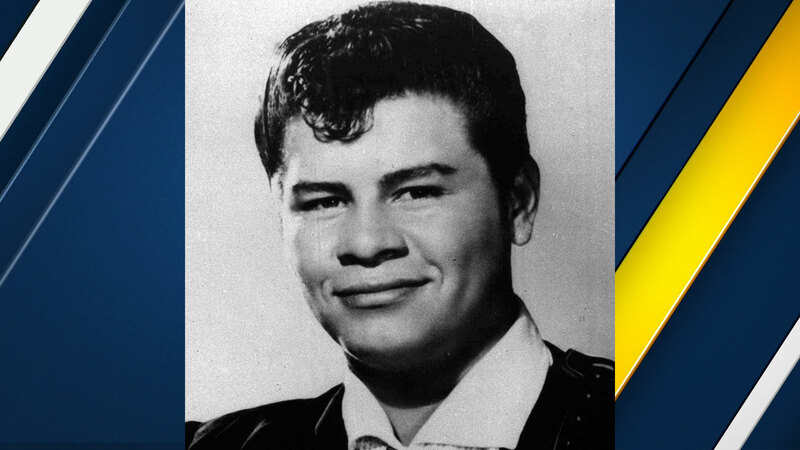 PACOIMA, LOS ANGELES (KABC) -- A stretch of the 5 Freeway in the northeast San Fernando Valley will be renamed in honor of rock legend Ritchie Valens, thanks to a bill approved by the state Legislature. The legislation, passed Thursday, renames the 5 Freeway between State Route 170 and the 118 Freeway "The Ritchie Valens Memorial Highway." "His music inspired and influenced a generation of Chicano artists in our community and throughout the world. It's only fitting to name this segment of the I-5 after a Rock 'n' Roll Hall of Famer who grew up right here in Pacoima," Assemblyman Raul Bocanegra, D-Pacoima, said when he announced the legislation's passage. Valens attended San Fernando High School and became a hit rock 'n' roll recording artist when he was discovered in 1958 at the American Legion Hall. He appeared on the TV show "American Bandstand" and recorded top hits like "Come On, Let's Go" and "Donna." His records sold more than 1 million copies. Valens died at just 17 years old on Feb. 3, 1959, in a plane crash that also took the lives of Buddy Holly and J.P. "The Big Bopper" Richardson. He was the subject of the 1987 feature film "La Bamba." "Ritchie became a rock 'n' roll icon at the age of 17," Valens' sister, Connie, said. "He's not only a rock 'n' roll pioneer but a role model for artists and youth all over the world."